is one of Norway’s most visited tourist sites. In 2005 it was listed as a UNESCO World Heritage Site, jointly with the Naeroyfjord (the narrow fjord). The Geirangerfjord is a 15 kilometre long branch of the Sunnylvsfjord, which is a branch of the Storfjord (Great Fjord), cutting in from the Atlantic coast just south of the coastal town of Alesund. The tiny village of Geiranger is located at the end of the fjord. You can experience the Geirangerfjord as part of our Fjord Cruise Package, starting in Oslo or Bergen (see below). 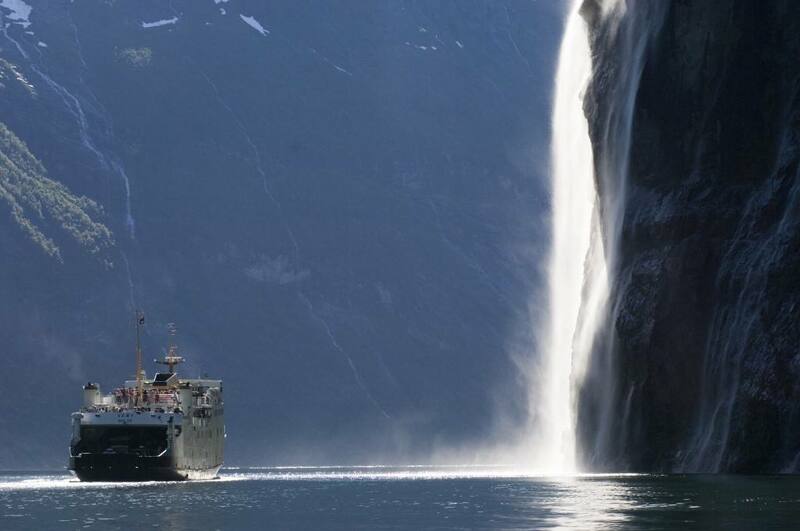 All trips include a cruise on UNESCO Geirangerfjord. Some of our trips also include a coach trip on Eagles Road. This scenic road is part of the Golden Route mountain roads between the village of Geiranger and the village of Andalsnes. On the highest point you can take in the magnificent panorama over Geiranger, the Geirangerfjord, the Seven Sisters Falls and the tiny mountain farms high above the amazing fjord. Tours and excursions are available during the months of May to September. See two Unesco Fjords in one trip: the amazing Geirangerfjord and the spectacular Naeroyfjord. The trip includes a cruise on both fjords as well as a coach trip on Eagels Road. You will also get to know the cities of Oslo, Bergen and Alesund, travel on the famous Flam Railway and visit the Atlantic Ocean Road, one of the world´s most beautiful roads. Stays in Oslo, Alesund, Bergen and the mountain village of Geilo. Experience some of the major highlights of East Norway and Fjord Norway on this 9 day trip. Visit amazing Geirangerfjord, a Unesco World Heritage Site and the spectacular Atlantic Ocean Road. 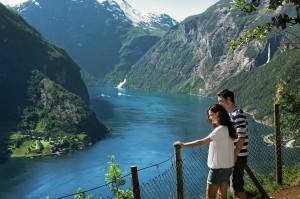 Spend 2 nights in Geiranger fjord village, where you can add exciting activities. Enjoy a stay in the picturesque mining town of Roros, the coastal town of Alesund and Trondheim, Norway´s third largest city. Start and finish in Oslo, Norway’s capital.